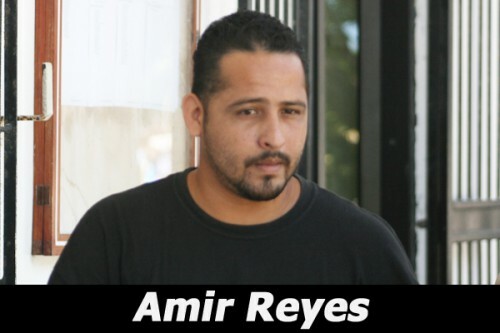 Former prison officer Amir Reyes, 28, a resident of Orange Walk Town charged with drug trafficking for attempting to smuggle 324 grams of cannabis into Belize Central Prison in a food container, was found guilty of the charge today in the #1 Magistrate’s Court. The Chief Magistrate, Ann Marie Smith, fined him $10,000 and ordered him to pay $5,000 forthwith and the balance by June 30, 2013. If he defaults on payment, he will serve 3 years in prison. The incident occurred around 6:50 p.m. on May 7, 2012. Prison officer Derol Dougal testified that when Reyes arrived at the prison to work he had a black transport bag and he was dressed in his uniform. Dougal said he searched Reyes, but he did not find anything incriminating. But when he searched the transport bag, Dougal said, he found a cream-colored food container with a red cover and when he opened the container, he saw ground meat with rice and beans. Dougal said he requested a spoon and when he used it to dig to the bottom of the food, he found two black plastic bags that contained compressed leafy substances which he suspected was cannabis. As a result, Dougal made a telephone call to Hattieville Police Sub-station and informed police constable Mark Pascascio of his finding. Pascascio testified that when he arrived at the prison, Dougal handed Reyes over to him, along with the bag and the food container and its contents. Pascascio said he took Reyes and the cannabis to Hattieville Police Sub-station and he weighed the parcels of cannabis separately. He said one parcel weighed 172 grams and the other weighed 152 grams, and the combined weight of them was 324 grams. Pascascio said that on May 29, he retrieved a manila envelope with the cannabis from the exhibit keeper and he took the envelope to the forensic service for testing. The envelope with the cannabis was returned to him on July 13 along with a drug certificate which confirmed that the substance was cannabis. The drug certificate, the envelope with the cannabis and some photographs of the transport bag and the food container and its contents were all admitted into evidence as exhibits. Reyes testified and said that he worked at the prison for 1 year and 5 months and it was not a job that he loved, but it made it possible for him to provide for his family. He said he did not have any idea of what was happening and the food in the container was corn beef and macaroni and cheese with pepper. He said that a man by the name of “Kent” whom he met at the junction of Burrell Boom Road and the Northern Highway while he was on his way to work gave him the transport bag to take to prison. But the Chief Magistrate Smith did not believe him. She told him that what he said was a pack of lies and she found him guilty.